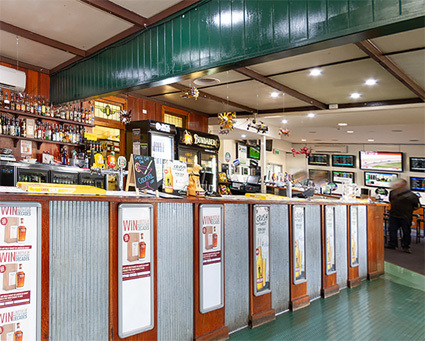 Private investors have offered up a portfolio of two big-trading Queensland pubs likely to be some of the last offered in the northern state for 2018. 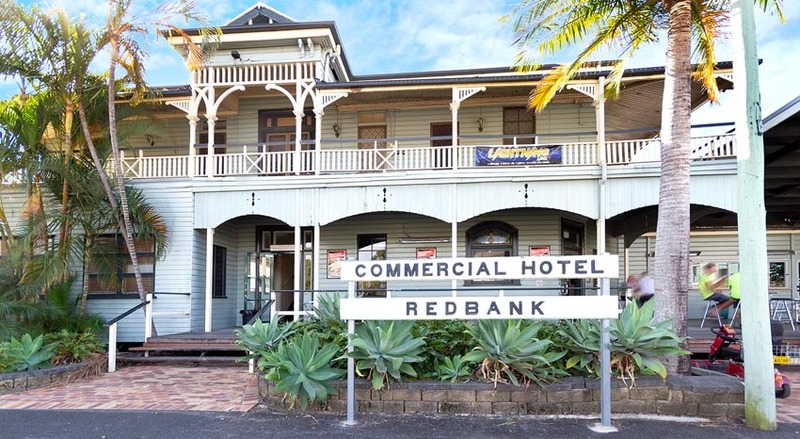 The Commercial Hotel in Redbank and Oonoonba Hotel Townsville are run under management by passive owners based in Perth that have held the assets for nearly a decade, and deem now the time to sell. Redbank is on the M2, around 30 kilometres south-west of Brisbane. It is the site of the recently approved $5bn contract to build light armoured vehicles for the Australian Defence Force, slated to bring 700 employees, around three kilometres from the Commercial. The pub is built on 2,702sqm just 300 metres from the train station, offering a modern kitchen, indoor bistro and adjoining outdoor dining area, walk-in bottleshop, four accommodation rooms, and an administration office on the first floor. The sports bar has a separate TAB, and the gaming room 24 EGMs; their high net performance indicates possibility to increase machine numbers to as many as 45. Townsville is experiencing a hospitality boom, with new builds and top-dollar pub sales amid infrastructure development and widespread investment. The Oonoonba Hotel occupies a 3,739sqm corner site around six kilometres from the heart of Townsville. It includes a main bar with TAB and Keno, lounge bar, gaming room with 28 machines, well-equipped kitchen for the 60-seat bistro, with children’s play area, dual lane drive-in bottleshop, eight motel rooms, and parking for around 60 vehicles. Both pubs maintain multiple revenue streams, and report consistent double-digit returns to their investors. “The hotels are currently operated by a management company, which will appeal to funds wanting to immediately reap the benefits of strong cash flow businesses offering high yields,” offered CBRE’s Paul Fraser, marketing the portfolio in conjunction with Peter Power and Andy Nason of Power Jeffery & Co. Beyond the potential in gaming and land values, agents suggest the Oonoonba stands to benefit from a floorplan that would see the gaming room moved beside the carpark, with its own entrance, subsequently increasing the restaurant capacity, bringing opportunity for functions. “Outside of Brisbane, Townsville has more infrastructure projects currently underway than any other town in Queensland, including a waterfront redevelopment and a new $250-million sports stadium, which is underpinning interest in city investment opportunities,” says Nason. Both assets also hold commercial licences allowing up to three detached bottleshops, although neither have any at present. Agents declined to comment, but sources suggest the two pubs could see a combined sale price circa $12 million. The freehold going concerns of the Commercial Hotel Redbank and Oonoonba Hotel Townsville are being offered separately or in one line, via an Expressions of Interest campaign closing Thursday, 15 November.